Chrysanthemum Stone is an interesting stone to look at and each stone is quite unique. 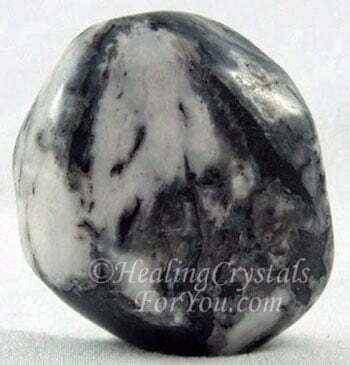 These black and white stones have a calming energy that assists you to feel centered. This lovely energy will bring joy and child-like happiness into your life. The saying 'be fully present' applies to this stone, as it aids you to be in the moment. As you work on discovering your true purpose, it encourages the real you to open up and bloom! By aiding you to see the bigger picture, you may discover your purpose. It may help you to find within you the courage to live your dream. Have you had a feeling that you have not yet achieved your potential or are you unsure what your reason for being here is? 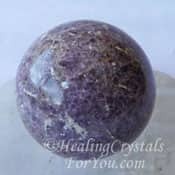 This stone has a strong vibration and metaphysical properties that will assist you if you have been unable to work out your purpose. It also aids you to take the action required to manifest it into your reality. 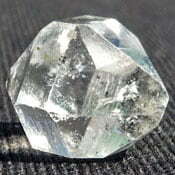 This stone was first discovered in Japan, but has also been found in China, Canada and the USA. It is a naturally occurring stone that is made from a mixture of gypsum, dolomite and limestone, with inclusions of various other minerals including Celestite, Calcite, Andalusite and Feldspar. It is commonly black and white, but it may also be brown and white, as this depends on the minerals present. The way the minerals are arranged in the stones resembles a flower, which explains the meaning of the name Chrysanthemum Stone. Want Help To Find Your Purpose? Chrysanthemum Stone is easy to buy. 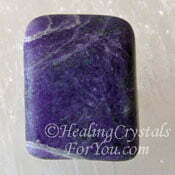 The vibration of this stone may help you to move forward, and enable you to live the life of your dreams. 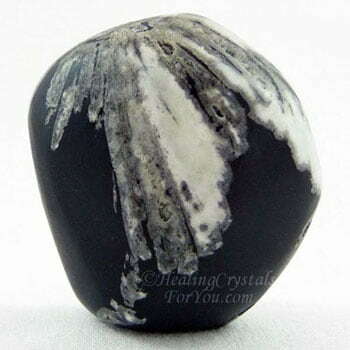 As you use the energy of the Chrysanthemum Stone, you may allow yourself to break free from the past and take the steps needed to make changes in your life. This enhanced creativity may help you to work with any of these creative ideas that are emerging, and to find your purpose. 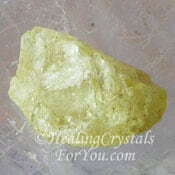 There are a few very powerful ways that Chrysanthemum Stone can be used and they are all quite easy to do. Start by putting this stone under your pillow at night. Allow its energy to work on you while you sleep, and when you wake up slip it in your pocket and keep it on you all day. After a few days you may find that you wake up feeling joy and happiness surging through you. You may also like to meditate with it, but instead of doing a deep meditation, hold this stone in your hand and simply allow your mind to drift. This type of meditation may be called reflective meditation. As you find that a specific thought comes to mind, you might just allow your mind to lightly follow that thought, and allow yourself to gain inspiration from what comes to you. As you allow this process to unfold, be aware of the thoughts that you find present themselves, as they may provide the answer to where you might go with your life. The vibration of this stone is said to encourage positive synchronicities, and it is known to increase both the number and frequency of experiencing coincidences and synchronicity in your life. Do you feel that what you are doing in your day to day life is not right for you? 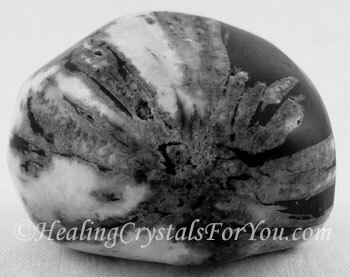 They are beneficial healing crystals for you to use if you are not sure what path you should take, when you may utilize the energy of a Chrysanthemum stone to assist you to find that right path. Although these coincidences may seem to be simply random unrelated events that are somehow brought together, they can be a powerful assistance to move your life in a new direction. It is known as a stone of good fortune. This stone has a strong vibration that encourages these to occur. Using this stone may also be accompanied by periods classified as 'lucky'. From this situation you may be enabled to manifest greater abundance and prosperity in your life. If you wish to bring increased money into your life, as part of this process, this is often possible, but it will depend on your predominant mental attitude. The good thing about using this stone is that you may find that as your way of thinking improves, the level of abundance flowing into your life may also improve. Brings Joy And Happiness Into Your Life! 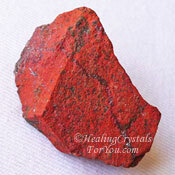 This stone encourages abundance and manifestation, luck, joy and increased synchronicities. 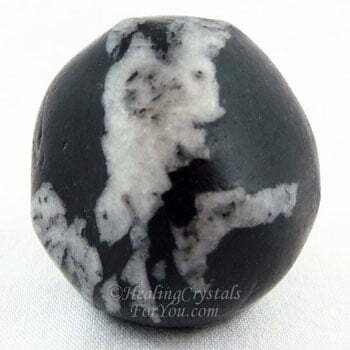 This black and white crystal will bring joy and child-like happiness into your life. 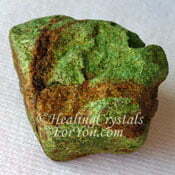 If you have a feeling that you have not yet achieved your full potential this stone may help you. On those occasions that you feel that you need help you to find the courage to live your dream use this stone. These unique stones have a calming energy that assists you to feel centered. 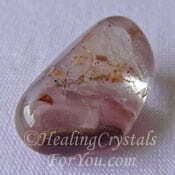 They embody a lovely energy that may aid you to take the action required to manifest what you desire into your reality. 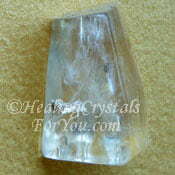 They are happiness crystals that have a strong vibration to assist you if you have been unable to work out your purpose. These are lovely stones to improve the way you feel, and they are known to provide you with excellent methods to relieve stress. They will be of benefit if you have been feeling depression or stress. I personally found that by putting one under my pillow, after a few days I was waking up with happiness zinging through me! Having one under your pillow is so easy to do that it is worth using for the happy feeling alone. 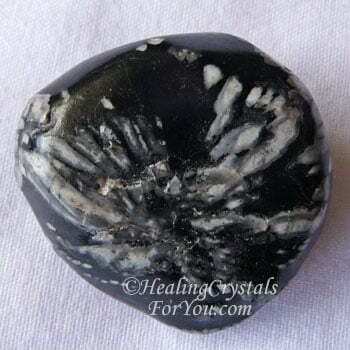 Chrysanthemum stones will help you to easily open up the inner self and bloom. I found myself singing and was totally surprised at the level of happiness surging through me, and I felt so good to be alive. As well it is said to help women who have been having menstrual problems, cystitis and other female health problems. It may also aid the removal of toxins, and may aid the healing of issues of the skin and the bones. "A person often meets his destiny on the road he took to avoid it." Jean de la Fontaine. Are you looking for a book about crystals and aren't sure what to choose? There are a large number of crystal books selling and some are better than others. There are a number of excellent authors who have been writing for years, and Judy hall is one of my favorites. Judy Hall has written a large number of books and every one that I have read is worth owning. I have reviewed quite a few of of them along with many other best selling books on my review page. Most of the authors that I review have been in the crystal industry for many years, and any one of their books are good to have on hand. I review books for the person who is new to crystals as well as reviewing books for those crystal users who have a great level of knowledge. 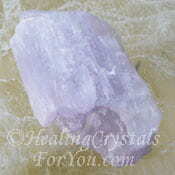 But it does depend on how long you have been using crystals and what you are looking for. On my Crystal Book Review Page you can read about some of the newer books that have been published and why you might want to read them. Where possible, I update the page regularly, to include newly published books, so check it out. You may combine it with any of the stones for the third eye chakra, crown chakra or soul star chakra, if you desire to move yourself forward on the higher spiritual path. 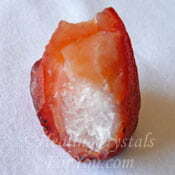 This stone works within all chakras and may be used in combination with most stones. 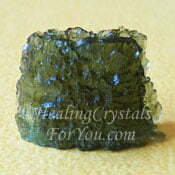 Using it with Green Moldavite, the transformation crystal, may aid the process to move very quickly. Combine it with any of the other high vibration crystals, as any of the high crystal energy stones help you on your spiritual path. 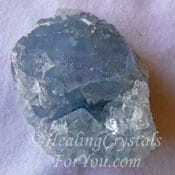 You might like to use it with Blue Celestite or Herkimer Diamonds if you wish to heighten your spiritual growth. 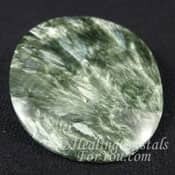 Use it with the lovely Green Seraphinite stones to aid healing, and to help you to make contact with higher spiritual guides, to help you with any decisions you need to make. Sardonyx, Gaspeite, Orange Carnelian, Cuprite and Zincite are powerful stones to use in combination with Chrysanthemum stones. 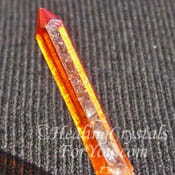 They will enhance your spiritual energy and endurance, to do what needs to be done to achieve your aims and aspirations. 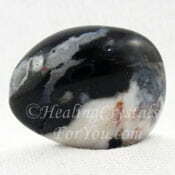 If you are feeling tense, depressed, stressed or anxious, using this stone is one of the ways to relieve stress. It may be combined with other specific stones for this purpose including Lilac Lepidolite, Amblygonite, the yellow or light green Hiddenite Lithium Quartz, Kunzite or Spurrite also known as Strombolite.